Behavior modification charts can be a very useful tool for parents and teachers who want to remind a child to do what he's supposed to (like getting dressed in the morning for school or helping set or clear the table for dinner) or to correct a specific behavior problem in a child (such as not listening, defiance, whining, or not doing homework). They can also be used to give children an incentive to work on different highlighted behaviors each day (such as doing homework on Monday; remembering to take out the garbage and working on listening to the teacher and mom and dad on Tuesday; and so on). Charts can be so effective in school-age children because kids want to get adults' approval and they love praise and concrete evidence of their achievement or progress (one reason why gold stars have such an enduring appeal for kids this age). Kids also hate to lose, so the possibility of losing, rather than gaining a sticker on a behavior chart will be something they definitely do not want. Plus, seeing these expectations in writing helps kids remember what they are--and are not--supposed to do. When the chart is filled, your child can choose a reward, such as getting to choose the family games or movies that weekend or getting a special lunch at their restaurant of choice. Using chips is a similar concept: Take 2 jars, one empty and one filled with something, such as poker chips. For each day that your child meets expectations, he can have one chip move to the empty jar. When the empty jar is full, he can have a reward. They have behavior charts that feature everything from superheroes to favorite kid characters like Dora the Explorer, Disney princesses, and Mario Brothers as well as generic charts with butterflies and flowers. This site offers a variety of downloadable behavior charts for different types of behaviors for kids of all ages. This site has free downloadable behavior charts for homework, single behavior, and multiple behaviors. Don't rely solely on behavior modification charts to correct behavior problems in kids. Rewards, incentives, and consequences are only as good as how you apply them--and the strong bond you build with your child every day through simple and ordinary routines such as playing with him, eating dinner together, and reading a book before bedtime. Talk to your child eye-to-eye, giving her your full attention. If you ask her to do something from across the room while you are checking email or looking at your phone (phone snubbing, or "phubbing"), you seriously dilute the effectiveness of whatever you are saying to your child and give her the message that she is not getting your full attention. Be clear about what behaviors you expect. And don't forget to be calm and when you say it. Do not waffle, do not yell, and speak in a loving but firm manner. Work on one or two problems at once. A single behavior chart works best if your child is struggling to meet your expectations on something such as remembering to pick up his toys. But if you would like your child to work on several things -- such as saying "thank you" and "please" or displaying other good manners, cooperating with fellow students in class, or being nice to his sibling -- then highlighting one or two behaviors you want each day may be a better option. Give it at least a few weeks. School-age kids, especially younger ones, may need several reminders (and possibly losing some stars or smiley stickers when they forget) before something clicks and they're able to do what they're supposed to do on their own. Make a list of behaviors you want and do not want. This will help you keep track of what you want to tackle as you work on behavior charts. So if you want to see your child helping a younger sibling more, listen better, make his bed, or keep track of his homework assignment and chores, put that on your own to-do list. Similarly, make a list of behaviors you do not want, such as not listening, backtalk, and lying, and put those on your child's behavior chart. Be realistic with your expectations. 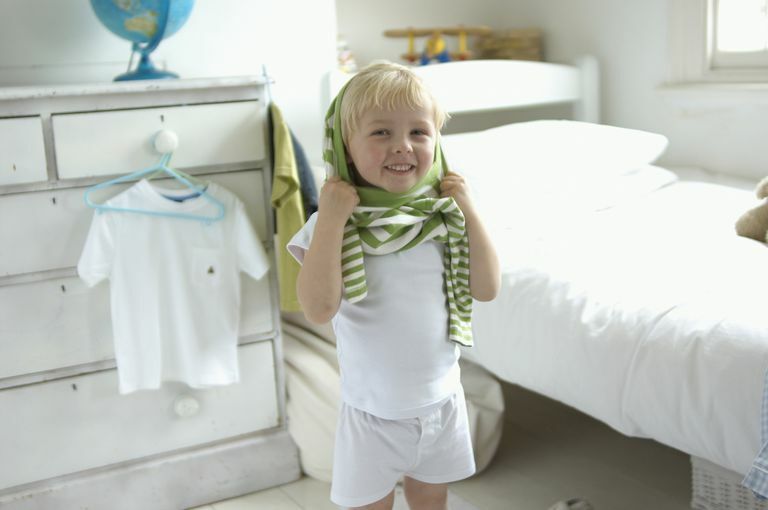 A young child may not respond to this type of behavior modification right away; it may take weeks for him to correct a behavior, especially if he was in a pattern--like not making his bed--for a long time. Backsliding is also normal and should also be expected. And don't expect kids to fix everything at once--piling on expectations is likely to only result in nothing being successful. Find out what's behind the behavior. If your child is having trouble staying in his bed through the night or has suddenly started exhibiting a number of bad behaviors such as talking back, being defiant, or throwing tantrums, there may be a reason for his change in behavior. Something may be going on at school, such as his being the target of or witnessing bullying, or he may have seen something scary that is causing him to wake up and night and seek out mom and dad. Or there may be a significant change at home, such as a new sibling. In short, behavior modification charts can be an excellent tool for school-age kids, who want to please parents and teachers, want to see a measure of their progress, and thrive when the prize is not only their parents' approval but a colorful sticker on a chart.